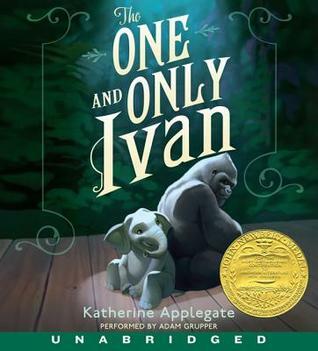 In honor of recently coming back from ALA and having the once in a lifetime opportunity to see Katherine Applegate give her Newbery acceptance speech, I am giving away an audiobook copy of The One and Only Ivan. Just LOVE Ivan! Great giveaway Beth! From the Mixed-Up Files of Mrs. Basil E. Frankweiler or The Westing Game. Thanks for the give away! Ivan is one of my absolute all time favorite Newbery winners! !